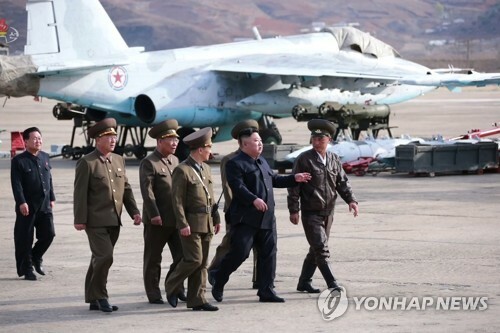 SEOUL, March 11 (Yonhap) -- The government will continue to pursue cultural and sports exchanges with North Korea this year to maintain the peace momentum created by last year's inter-Korean summits, the Ministry of Culture, Sports and Tourism said Monday. The ministry announced a set of policy plans for 2019 that has "peace," "inclusiveness," "fairness" and "innovation" as its four main keywords. It will inject as much as 5.92 trillion won (US$5.22 billion) to achieve plans that also include enhancing cultural welfare for low-income families and the disabled and eradicating corruption in the sports sector. Better supporting the country's growing cultural content, tourism and sports industries is also part of the plans. 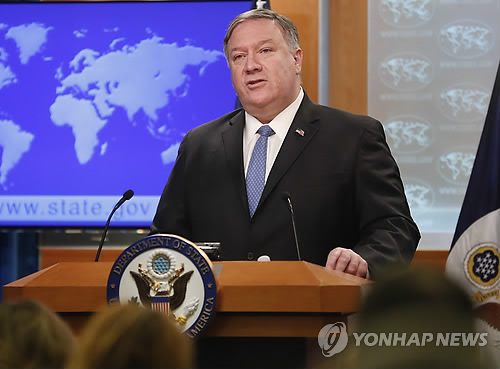 "It's regrettable that the second North Korea-U.S. summit ended without any agreement, but the mood of inter-Korean peace should be maintained and developed. 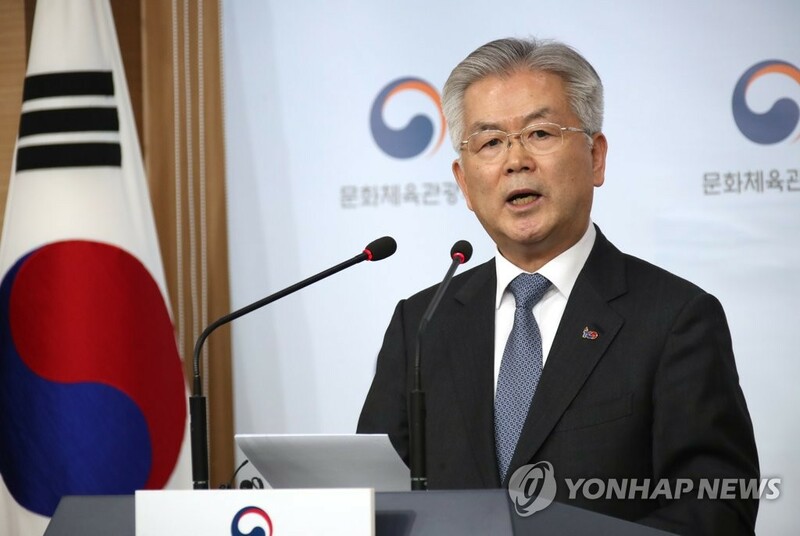 The role of culture is important and constantly needed for this," First Vice Minister Kim Yong-sam said during a press briefing to announce the plans. 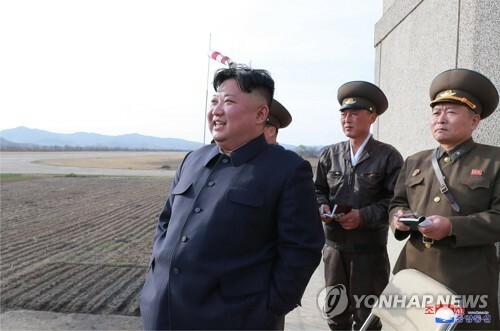 In order to boost inter-Korean peace, Kim said, South Korea will continue preparations to compete together with North Korea at the 2020 Tokyo Olympic Games. 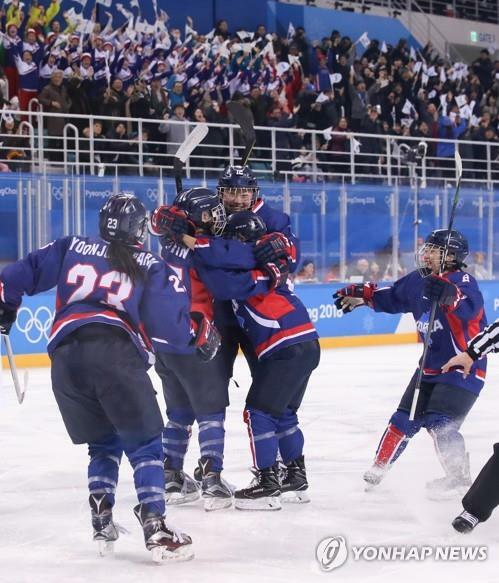 During a tripartite meeting with the International Olympic Committee in Lausanne, Switzerland, last month, the two Koreas agreed to form joint teams in women's basketball, women's field hockey, rowing and judo for the Tokyo Olympics. The government will also press ahead with a joint bid to host the 2032 summer Olympic Games with the North, the ministry said. 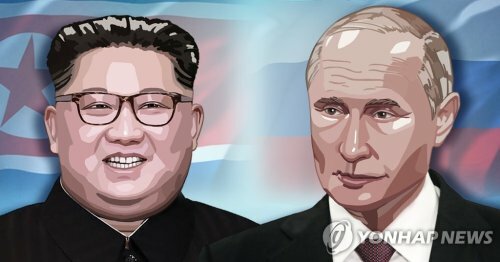 The ministry will continue to invite North Korean athletes to various international sports competitions in the South this year and hold friendly basketball and ssireum (traditional Korean wrestling) matches and joint performances of the two Koreas' taekwondo practitioners on major traditional holidays or the first anniversaries of summits between South Korean President Moon Jae-in and North Korean leader Kim Jong-un. 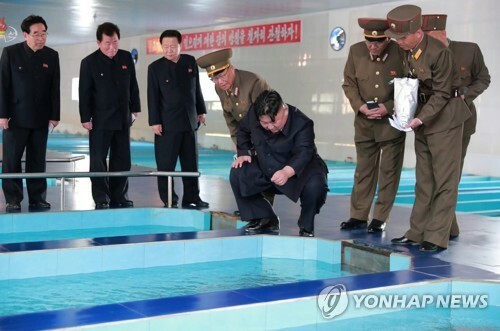 South Korea has already sent the North an invitation to the swimming world championships set to be held in its southwestern city of Gwangju in July. Preparations to unify two international taekwondo governing bodies -- World Taekwondo (WT) based in Seoul and the International Taekwondo Federation (ITF) in Pyongyang -- will begin fully in the first half of this year, according to the ministry. 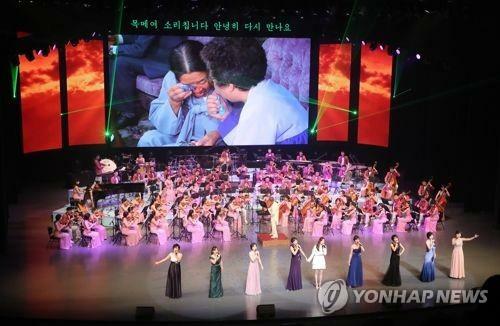 The South will push for another Seoul performance by a North Korean artistic group again after a botched plan last year. 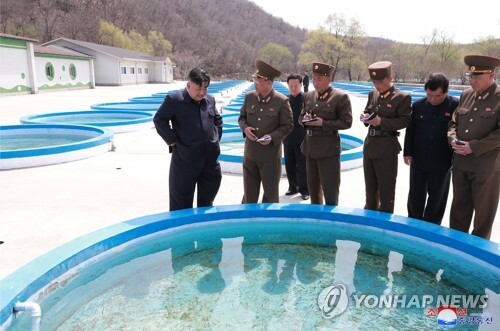 In addition, the government will continue to push for joint projects to compile a unified Korean-language dictionary, unearth historic relics at the Manwoldae site in the North's border town of Kaesong and conduct a joint survey of ancient tomb murals in Pyongyang. The two Koreas have already conducted joint excavation work at the site, the location of a Goryeo Dynasty (918-1392) palace. The government also plans to resume long-suspended inter-Korean cooperation projects in tourism, including a tour program to the scenic North Korean mountain of Kumgang, in stages when progress is made in the international political and diplomatic situation. As for efforts to root out corruption in the sports sector, the ministry will set up an independent corporate body referred to as a "sports ethics center" for investigating corruption in sports in addition to two separate organizations launched last month. Last month, the ministry launched a government-civilian committee on sports innovation to devise detailed measures to reform the sports scene and a special probe team under the National Human Rights Commission of Korea to receive reports on physical and sexual abuse in the field.